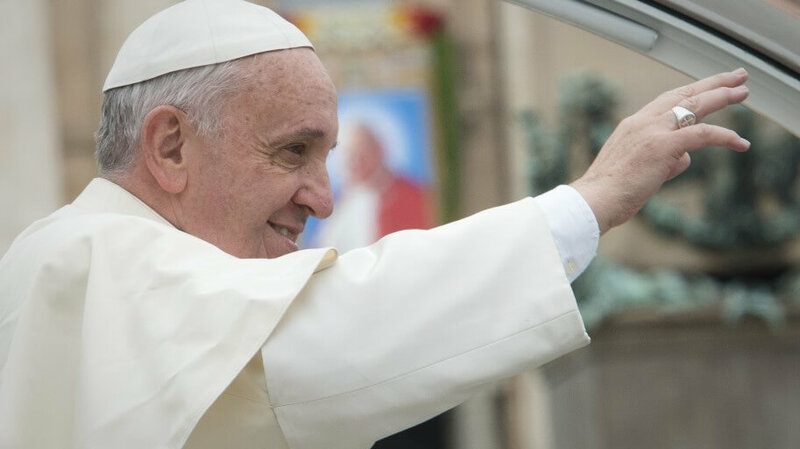 Pope Francis has formally recognized  a Palestinian state, even though it does not exist. While the media have noted that the Vatican’s curious action has created some controversy, there has been little discussion of whether “Palestinians” actually do exist, where the modern-day concept of a “State of Palestine” came from, and which major power benefits from the creation of a nation under the control of the Palestine Liberation Organization in the Middle East. “Most of the so-called ‘Palestinians’ are in fact interlopers and squatters from Syria—and other places—mostly in the 1920s and 1930s who simply took possession of pieces of land in Israel,”says  commentator Rockwell Lazareth. William Mayer, editor and publisher of PipeLineNews.com, says  “the so-called Palestinians” are in fact “Arab colonial squatters” who have been used to wage war against Israel. Ben-Tekoa’s book, Phantom Nation: Inventing the ‘Palestinians’ as the Obstacle to Peace , argues that “Palestinians” are an “invented” people whose purpose is to serve as the means through which the destruction of Israel and the Jews will ultimately be achieved. Soon, the United Nations adopted the cause. Dr. Harris Schoenberg’s 1989 book, A Mandate for Terror: The United Nations and the PLO , describes how the world body came to endorse and embrace the terrorism campaign of the PLO. The UN General Assembly voted in 2012 to recognize Palestine as a non-member state, giving it the same status as the Vatican. The only countries voting against  this initiative were Canada, Czech Republic, Israel, Marshall Islands, Micronesia, Nauru, Palau, Panama, and the United States. Earlier this year, the International Criminal Court (ICC) accepted “Palestine” as a State Party  to the Rome Statute, the ICC’s founding treaty. The court’s chief prosecutor, Fatou Bensouda, is currently probing alleged Israeli war crimes during last summer’s war in Gaza with the Hamas terrorist group. Abbas speaks fluent Russian as a result of his KGB training  at the KGB’s Patrice Lumumba University, where he wrote a report claiming that there was no Holocaust, and that the Jews who were murdered during World War II were actually killed by Zionists working with the Nazis. It is now called the People’s Friendship University. Marius Laurinavi?ius, Senior Policy Analyst in the Policy Analysis and Research Division of the Eastern Europe Studies Center, argues in his paper, “Do traces of KGB, FSB and GRU lead to Islamic State? ,” that it is impossible to understand the rise of the Islamic state without paying attention to the links between the Russian secret services and Arab/Muslim terrorists, including in the Russian region of Chechnya. Israeli Prime Minister Benjamin Netanyahu said in 2009 that he was prepared to recognize a “demilitarized” Palestinian state of some kind, subject to security conditions and their recognition of Israel as a Jewish state. However, a document  outlining the approach of Netanyahu’s new coalition government did not include any intention of establishing a Palestinian state. The publication Foreign Policy says  Obama has decided to review the “diplomatic protection” it has offered Israel in the United Nations against anti-Israel resolutions as a way to pressure the Jewish state, and that “There is a growing movement at the United Nations Security Council to pass a resolution outlining a roadmap for future peace talks.” Such a “roadmap” would force Israel to accept a Russian-influenced Palestinian state. In his 1971 book, Red Star Over Bethlehem: Russia Drives for the Middle East , former diplomatic envoy Ira Hirschman argued that the Soviet Union voted in the U.N. to establish the state of Israel in 1947, only to oust “the last vestiges of British power in the land-bridge area linking Europe, Africa, and Asia,” and that its strategic objective has been to make possible the long-awaited dream of Catherine the Great to establish Russian warm-water ports in the Mediterranean and the Middle East.